Sri Lanka is evolving as a hot spot for younger vacationers looking for authentic travel experiences that remain largely undiscovered by mainstream tourists, said Lia Batkin, co-founder of New York-based In the Know Travel Experiences. “Sri Lanka is definitely becoming a very cool up-and-coming destination that’s very much like Thailand was 15 to 20 years ago,” she said, adding that she has seen a decided uptick in interest in the destination with the last 12 months or so. Sri Lanka is particularly appealing to Batkin’s clients in their late 20s and early 30s, who are looking for unique, affordable culturally focused travel experiences. “They can really stretch their dollars in Sri Lanka,” she said, noting that she recently booked a couple for a nine-night vacation for $5,800. It boasts a considerable array of ancient sites and temples, in addition to gorgeous beaches and a variety of wildlife experiences. Batkin works with Leopard Safaris, which offers tented safaris at Yala Yala National Park for sightings leopards, elephants and bears, plus innumerable bird species. She also recommends visits to the Millennium Elephant Foundation, where travelers can ride elephants and help wash them, as well as private tours with an expert botanist at the Royal Botanical Gardens. In terms of accommodations, there’s something for virtually every budget, with hotels starting at approximately $150 per night and rising to as much as $900. On the upper end, Batkin recommends the Amangalla set in the historic port of Galle and nestled within the ramparts of the 17th-century Galle Fort, a UNESCO World Heritage Site. Tea Trails, meanwhile, is set on a 15-acre tea estate and is Sri Lanka’s first Relaix & Chateaux resort. Its historic bungalows, which date back to the 1850s, formerly served as the homes of British tea estate managers. A significantly more affordable option, with rates starting at about $225 a night, is Kandy House, a manor house constructed in 1804 and converted into a boutique hotel with just nine rooms. Fort Printers, with prices starting at just $150 a night, features 13 suites in a restored 18th-century mansion. Like Amangalla, it too is located in the Galle Fort. 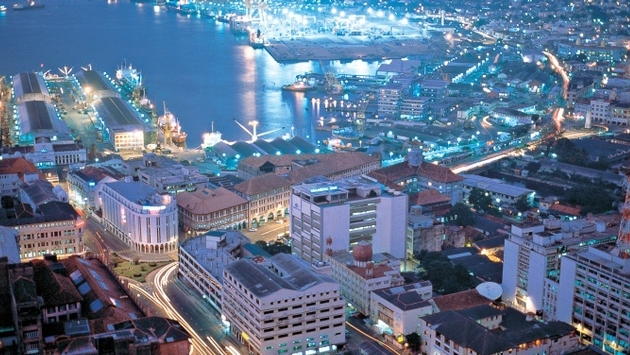 Batkin said Sri Lanka is easily combinable with such destinations as the Maldives, Singapore and Malaysia.